Yesterday, Facebook rolled out their latest update, called timeline, for everyone, including brands. Although Facebook has changed their layout multiple times since its initial, college-students-only years, the latest update is the most different. The most visual change is the new cover image that spans the top of your page. As a brand, it’s important to maintain a consistent visual identity across all media platforms. What’s great about the new cover feature is it allows you to do just that. Your company can tell their story in a visually interesting way at the top of the page. We’ve been busy designing cover images over the past few weeks. We’ve picked up a few tips and restrictions to keep in mind. Make sure your cover image works with your profile picture. Your profile picture will now show up as a square that covers part of the cover. Both items sit closely together, so have a little fun. Make sure your profile picture looks good as a square. Although you can adjust the thumbnail view, visitors are not likely to click through your image. Keep it simple with a company logo. When you edit the thumbnail view, you can check “Fit to Scale” to make sure your logo isn’t cut off. Get the right dimensions. Even though Facebook does pixelate the image, your cover should still look good. Design a cover that works as a horizontal image. Make sure to upload a hi-res file. Tell a story and express your company’s style. Make sure your brand page matches your company’s branding. This your chance to tell your story and engage your audience as soon as they hit your page. Cover images are 851 x 315. Profile picture thumbnails are 132 x 132 with a 1px solid border. Personal pages and brand pages have different measurements in relation to where the profile picture sits on top of the cover image. On brand pages: The profile picture sits about 22 pixels to the left, and 72 pixels up. On personal pages: The profile picture sits about 22 pixels to the left, and 92 pixels up. These are important things to keep in mind. You don’t want to waste time or money having a cover image designed only to get your Facebook account suspended. No price or purchase information, including discounts or coupons. No contact information. This includes websites, addresses, emails, phone numbers, etc. Keep all this in your About section. No references to Facebook features, such as “Like” or “Share”. No arrows point from the cover to any of these. It may not be false, deceptive, or misleading. It must not infringe on third parties’ intellectual property. Make sure you own the images, or at least have a right to use them. Now for the fun part! Here are a few of our designs. We used our cover to be creative and tell our story on painless perceived legitimacy. We also added a bit of a shadow around where the thumbnail profile picture was. A take on the classic typewriter keys for a creative copywriting, GlobalWrites. We wanted to showcase all the aspects this marketing agency, Marketing Refresh, offers. This is one great way to tell your company’s story. 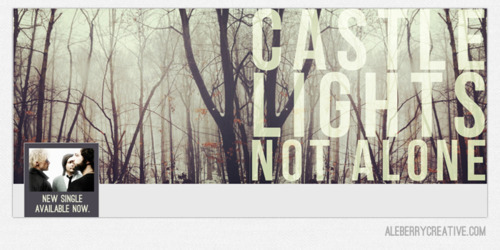 A great local band, Castle Lights, wanted to feature their recent tunes. For more details on the latest Facebook update, check out Facebook’s Guide.